When buying a plot of land, it’s likely that having the right planning permission in place will be a key consideration in consolidating your building plans. Moreover, most mortgage lenders are much more reluctant to lend out money to buy land that does not already have the correct planning permission in place. Fortunately, many plots of land are sold with planning permission already in place. 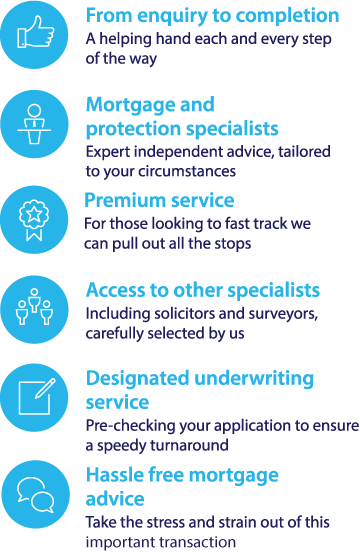 Standard residential mortgage lenders may not offer mortgage deals for land with planning permission, but by seeking expert advice, you should easily be able to locate the mortgage deal that you require for your land purchase. To find out more about buying land with planning permission using a mortgage, speak to our expert independent mortgage team today on 0117 332 3389. What is the difference between full planning permission and outline planning permission? If you buy a plot of land that already has full planning permission, this means that the local authority will already be in possession of detailed plans for the land’s development. You can access these from the public register of your local council – and it is very important to familiarise yourself with exactly what building works will be permitted before you commit to approaching potential mortgage lenders and buying the land. If your chosen plot of land does not have full planning permission in place, you may still be able to get a mortgage deal if the land has outline planning permission. Outline planning permission is cheaper to get than standard planning permission and although it does not guarantee that you will be able to build as you choose, it does offer a good indication of the kind of planning permission that you are likely to be able to obtain for the land when you come to apply for full planning permission in the future. Whichever type of planning permission you have, it will expire after three years and you will need to reapply for planning permission after this time has elapsed. Therefore it is essential to check exactly how long you have to begin your proposed building works on the land that you intend to buy. Can I get a mortgage to buy land with planning permission and fund my self-build project? The good news for people who are considering buying land with planning permission for a self build project is that some mortgage lenders will offer you a specialist self-build mortgage deal to accommodate this. In some cases, you may be able to borrow up to 95% of the land purchase costs and build costs, based on the estimated final value of the house. The money will be released in stages as required for the duration of the project. This type of finance process can be beneficial to both borrowers and lenders – for borrowers, it means that you can get the money you need upfront to purchase the land you need. The remainder of the cash will then be released in stages to cover each stage of building work, so you may receive a lump sum to cover initial foundations, then a further sum to cover the structural development, and finally the remainder of the mortgage to finance making the property habitable. For the mortgage lender, the staged cash flow release of this type of mortgage deal provides a sense of security and may mean that they feel able to offer a larger mortgage amount overall.